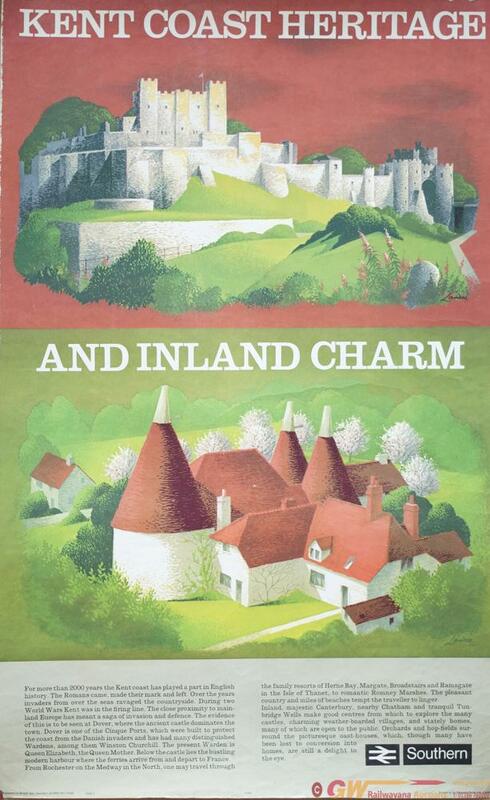 Poster BR(S) KENT COAST HERITAGE AND INLAND CHARM by REGINALD LANDER circa 1980. Double Royal 25in x 40in. In good condition.